Why Martial Arts Training Is So Popular with Women in Wauwatosa and Milwaukee? Women have busted, broken and kicked through any former stereotypes about martial arts being just a guy’s thing. People worldwide are beginning to recognize female UFC fighters such as Ronda Rousey, Holly Holm, Misha Tate and many others who are starting to become household names – who headline pay-per-view TV broadcasts with their famous fights and moves – and more women across the globe are checking out martial arts classes, training and opportunities to get stronger, faster, leaner and meaner. According to Simmons Market Research, 48 percent of those who participated in some form of martial art within the past year were women; likewise, 22 percent of teen girls have also given martial arts classes, like the programs offered at Milwaukee’s RoufusportMixed Martial Arts Academy, a try. Why is martial arts training more popular than ever with women at Roufusport Academy located on the Wauwatosa Milwaukee border? Martial arts paints a pretty (and a pretty tough picture). Combining strength, quickness, power, agility and precision, martial arts training is challenging – it burns calories, sculpts muscles and can create a strong, lean physique. Women interested in trying something new can enjoy exercise, a new discipline and a head-to-toe challenge. Martial arts is multi-disciplinary. From Brazilian Jiu Jitsu to tae kwon do to boxing and from mixed martial arts to various styles of wrestling, there is something for everyone when it comes to learning martial arts at Roufusport. Some styles emphasize kicking while others focus on striking. Some engage more in self-defense techniques while others focus on the attack. 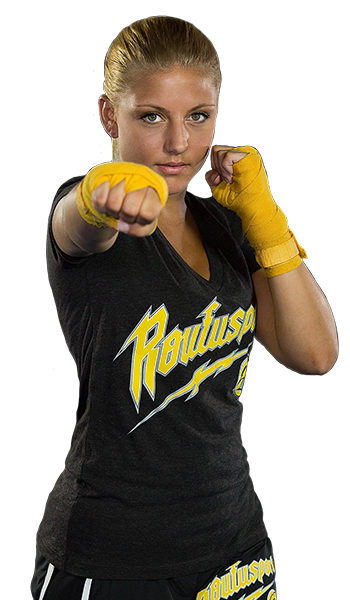 Women looking for a change in their traditional training regimen now have the option to try any number of Roufusport’s fun, challenging and unique martial arts styles to suit their interests and personality. Martial arts training teaches women to combat violence. Nearly 20 percent of women are sexually assaulted and as many as 1 in every 6 women are stalked, highlighting the importance of learning self-defense skills. Roufusport’s martial arts programs teach women to defend themselves when in danger with effective, street-smart skills and techniques. Martial arts is in the news, on the screen and everywhere else. Whether it is a mixed martial arts fight or a run-up to the Summer Olympics, images of women fighters and competitors are everywhere. You can see women martial artists on social media, on ESPN and in your local gym, creating more hype, more awareness and more interest among other women. With more weight classes for women competitors, there are more women role models in martial arts today than ever! Martial arts teaches more than just fitness. In addition to the fitness component inherent in various martial arts techniques, practitioners also learn discipline. They learn respect. They learn control. And they learn focus. When an activity becomes bigger than just a way to exercise and burn a few calories, it can turn into more of a passion and a lifestyle. Roufusport’s female students are connecting with some of the underlying tenets of martial arts, finding greater interest in the tradition of the sport. Ultimately, more and more women are recognizing the many opportunities and challenges that martial arts offers. Whether it’s Roufusport’s weekly jiu jitsu class, our high energy kickboxing program, mixed martial arts training or one-on-one private lessons, women are more than ready to prove that they are just as strong, just as fast and just as powerful as the guys when it comes to training martial arts at Roufusport! To find out more, just take a minute to complete the short contact form on this page to your right. A helpful Roufusport staff member will contact you so you can get started in Roufusport’s martial arts programs today with a FREE class! Questions? Please call (414) 453-5425.
. . . and gain access to over 225 hours of online instruction!